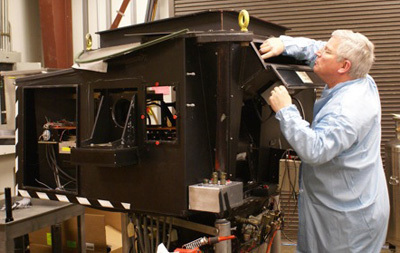 UC Santa Cruz has been awarded $350,000 in combined grant and donor funds for a major upgrade to the Kast Spectrograph at Lick Observatory.Astronomers throughout the UC system use the Kast Spectrograph for scientific research across a broad range of observational programs. Its powerful and flexible double-camera design makes it the most important and most used instrument on the 3-meter Shane Telescope at Lick Observatory. Aerial view of Lick Observatory. 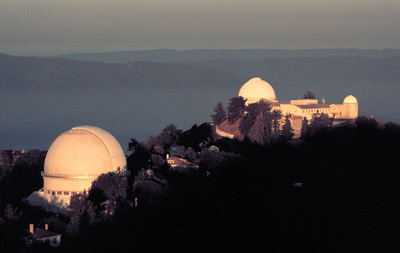 The University of California Office of the President has reversed a previous decision to pull funding from Lick Observatory by 2018, according to a written statement issued by UC Provost Aimee Dorr.The letter confirms that Lick Observatory operations will continue under the management of UC Observatories (UCO), the multi-campus astronomical research unit headquartered at UC Santa Cruz. Claire Max inside the Shane 3-meter dome. Photo by Laurie Hatch. The University of California has appointed Claire Max, professor of astronomy and astrophysics at UC Santa Cruz, to serve as director of UC Observatories on an interim basis while an international search is conducted to appoint a permanent director. Max succeeds Sandra Faber, whose two-year appointment as interim director ended in June. Max is internationally known for her research in plasma physics, astronomy, and astronomical instrumentation. 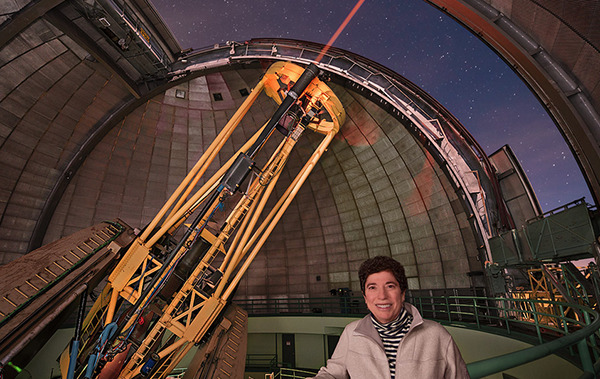 A pioneer in the field of adaptive optics, she has served as director of the Center for Adaptive Optics at UC Santa Cruz. 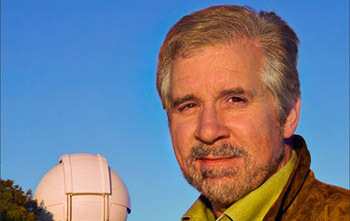 Leading astronomers from around the United States and abroad will gather at the Hotel Paradox in Santa Cruz on September 23 and 24 for the “Harfest” conference to honor UC Santa Cruz astronomer Harland W. Epps, who retired in July. 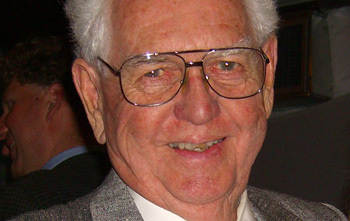 Epps, a professor emeritus of astronomy and astrophysics, has been at the forefront of designing optics for astronomical instruments for more than 50 years. The Automated Planet Finder (APF) at Lick Observatory. Photo by Laurie Hatch. Lick Observatory's newest telescope, the Automated Planet Finder (APF), has been operating robotically night after night on Mt. Hamilton since January, searching nearby stars for Earth-sized planets. Every night the fully autonomous system checks the weather, decides which stars to observe, and moves the telescope from star to star throughout the night, collecting measurements that will reveal the presence of planets. Its technical performance has been outstanding, making it not only the first robotic planet-finding facility but also one of the most sensitive.